Calum Hill (pictured) joins Hannah McCook and Paul Lawrie OBE, in representing Gleneagles on the global stage. 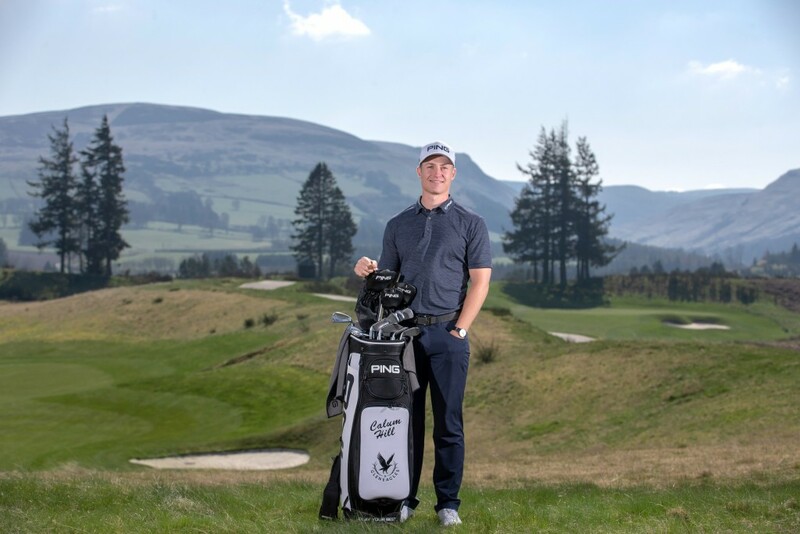 Calum joins fellow young Scot, Hannah McCook, and former Open Champion and Scottish golf legend, Paul Lawrie OBE, as representatives of ‘The Glorious Playground’ on the global stage. Calum (24), who lives in Crook of Devon, Perthshire, just 12 miles from the 850-acre estate, returned to Scotland after completing a scholarship in America, where he obtained both Bachelor’s and Master’s Degrees. During his time at the University of Western New Mexico his golf game blossomed, and in 2017 won the San Juan and Arizona Opens, victories that were his springboard into the professional game. Calum has subsequently gone on to compete in the 2018 US Open at Shinnecock Hills, win the Galgorm & Spa Northern Ireland Open in the same year, and now plays on the European Challenge Tour. He commented: “Gleneagles is not only an iconic destination for golfers around the world but it also holds a special place in my heart, being so close to my family home, and a venue where I continue to practice.